In a toss-up game for the analysts, this game is too close to predict on paper. 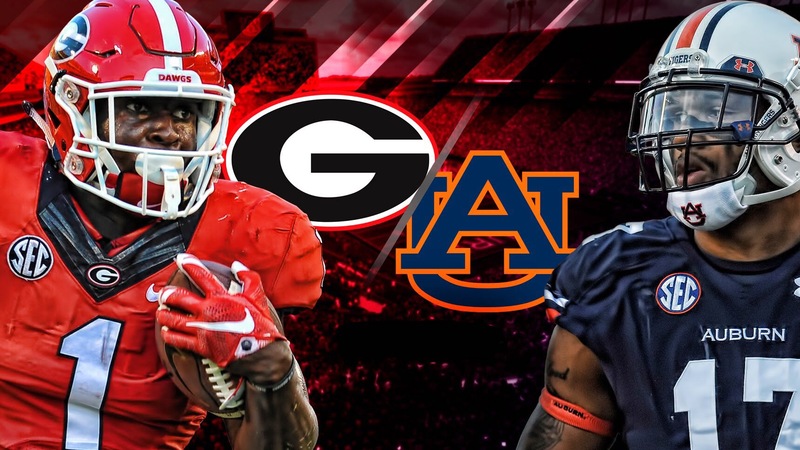 With Georgia as a 3-point favorite but a 48.6% chance of victory according to FPI, they will head to Auburn, AL to face the #10 team in the Nation. Boasting a 9-0 record, the Bulldogs will look to leave “the plains” with a hard-earned victory and a 10-0 record. Following last year’s 13-7 win in Athens, both defenses return starters and look a lot similar to last year with the exception of Georgia’s season record. With the season 12 games long, the Bulldogs will need to continue to mature as a team on both sides of the ball if they are going to make a run at the playoffs. After a so-so showing last week against South Carolina, the Dawgs now have a much more dangerous opponent in Auburn. They must make sure everyone learns from their mistakes last week and doesn’t allow those same mistakes to happen on Saturday. Just like last year, this game is going to be a 4 quarter battle! With Georgia manhandling all their opponents since week 2, now will have to face a team that not only is physical but also has the same game plan as them, which is running the ball consistently. If Georgia gets up big early, they must continue to pressure Auburn and not allow them to get back into the game. Following last week’s defensive mishaps where the secondary gave up 227 yards through the air, the Bulldogs must remain honest and not allow the receivers to get behind them and make big plays. With Auburn’s QB, Jarrett Stidham averaging 221 yards a game, the defense will need to limit the damage he does through the air and make Auburn run the ball. Georgia needs to continue to do what they do best which is run the ball. With the Dawgs averaging 279 yards and game, they will need to effectively run the ball. Yes I said effectively! Auburn’s DL is stout and look to be the toughest test for UGA this year. I see Auburn stacking the box and daring Jake Fromm to beat them through the air. Like Georgia does week in and week out, they will run the ball 45-50 times and allow Fromm to throw 20 times. I see Auburn limiting the damage Georgia is able to do on the ground “in the 1st half.” You heard that right, first half. As Georgia does every game, they begin to wear defenses out as the game goes on which allows bigger gains and gives them the ability to run the clock out. I do believe Auburn will keep it close for most of the game but the balance of rushes and short slants will have them confused which will allow Jake Fromm to make just enough completions and a late TD to win the game!